ATD emolda have supplied OEM parts to industries as diverse as pharma, medtech, the mobile telecommunications and automotive industries for over 30 years. We have a proven track record of delivering high quality products that integrate into our customers supply chains with ease. 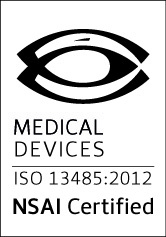 Our healthcare OEM products are designed and manufactured to ISO13485 standards and using cGMP methods.